The Internet–Paid search continues to record an upward trend, according to several digital marketing studies. The remaining weeks of 2013 also look promising as data complied by RKG, IgnitionOne, and Kenshoo reveal that advertisers are upping their ante into the paid search medium. An overall increase in paid search has amounted to a 21 percent increase from the same time last year. Click volume jumped 13 percent on all search engines and among the analysis of its client base, the companies releasing the findings saw a near doubling of the average cost-per-click or CPC. Bing Ads surprisingly continue to outpace ads by Google, recording a 39 percent year-over-year increase. This trend flies in the face of Google capturing 18 percent more paid search traffic. Non-branded click volume from Bing Ads reached 145 percent in the third quarter of the year, which is up 45 percent from the same period in 2012. By contrast, CPC grew by 3 percent. Of course, one reason attributable to the success of paid search is a growing audience. Smartphones and tablets, along with desktops, have made the internet accessible from practically anywhere. As more devices become connected, there is an increasingly larger audience to reach. However, smartphones trailed both desktops and tablets in the data, decreasing 9 percent to just 6 percent from Q2 to Q3 of this year. This represents a contradiction as, “smartphones achieved 117 percent growth in clicks, more than double the percentage to tablets. Meanwhile, smartphones gained 91 percent increase in impressions YoY, compared to 70 percent by tablets,” according to Search Engine Watch. 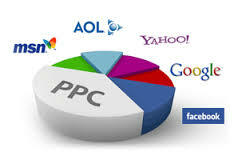 Social media sites have been incorporating their own brand of PCP or paid search, returning results with advertising. Part of the dynamic is advertisers learning the lay of the digital land, putting the efforts where they pay off most. Advertisers are finding that paid search is an effective marketing tool for companies with the budget. Small businesses do not fare well in this arena, having little resources to mount an effective outreach to consumers. However, large companies with the budget and manpower to undertake such endeavors are doing so and must be seeing results or paid search would post a steady decrease. Victoria Casal-Data Victoria is a freelance blogger, bilingual copywriter, content creator and translator based in St. Petersburg and Miami, FL. Influenced by her childhood in her hometown of Buenos Aires and a background in art history and philosophy, she looks to write descriptive, thought-provoking, and carefully crafted relatable content that inspires, illuminates and informs both Spanish and English speaking readers. Her passion for writing about the arts has sprung her into a part-time career in art journalism; she currently writes for Hi-Fructose Contemporary Art Magazine Blog, Beautiful/Decay Magazine, ARTICULATE, Art at Bay, and Creative Loafing Tampa, and she has been featured in several different blogs including Brooklyn-based Hyperallergic and Daily Serving.